Before the 1940s, children in the United States with severe emotional difficulties would have had few options for care. The first option was usually a child guidance clinic within the community, but they might also have been placed in a state mental hospital or asylum, an institution for the so-called feebleminded, or a training school for delinquent children. Starting in the 1930s, however, more specialized institutions began to open all over the country. Staff members at these residential treatment centers shared a commitment to helping children who could not be managed at home. They adopted an integrated approach to treatment, employing talk therapy, schooling, and other activities in the context of a therapeutic environment. 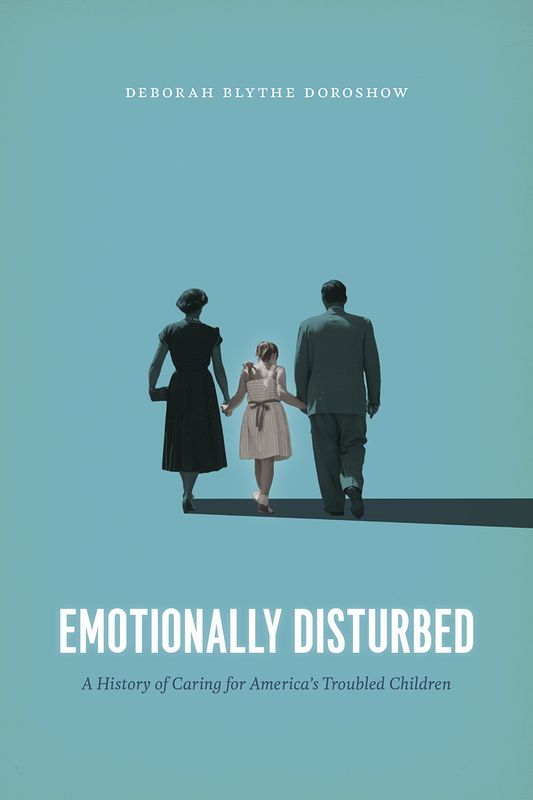 Emotionally Disturbed is the first work to examine not only the history of residential treatment but also the history of seriously mentally ill children in the United States. As residential treatment centers emerged as new spaces with a fresh therapeutic perspective, a new kind of person became visible—the emotionally disturbed child. Residential treatment centers and the people who worked there built physical and conceptual structures that identified a population of children who were alike in distinctive ways. Emotional disturbance became a diagnosis, a policy problem, and a statement about the troubled state of postwar society. But in the late twentieth century, Americans went from pouring private and public funds into the care of troubled children to abandoning them almost completely. Charting the decline of residential treatment centers in favor of domestic care–based models in the 1980s and 1990s, this history is a must-read for those wishing to understand how our current child mental health system came to be. "Emotionally Disturbed is a clearly written and meticulously researched account of residential treatment centers, a largely forgotten strategy for addressing the needs of children with mental illness. This book will remind those who work with, live with, and love such children how a combination of ingenuity, resources, and focused care greatly improved the lives of those whom society had left behind." "Doroshow's work exemplifies a new generation of historians bent on reinterpreting the history of American psychiatry from a fresh, twenty-first-century perspective. Artfully researched and beautifully written, Emotionally Disturbed explores a little-known aspect of twentieth-century mental health care: the efforts to devise new therapeutic options for 'leftover' children, that is, children and youth so troubled that neither their families nor existing institutions would care for them. Doroshow's work deepens our understanding of the past and present challenges of caring for this very important, very vulnerable group of Americans."